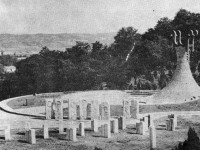 In the fifth century BC, Herodotus, a Greek historian, claims that there was a certain Illyrian settlement nearby Leskovac, around which hemp was grown. In the second century AD, after the Romans conquered the Illyrians, they found a settlement on the left riverside of the Veternica, and on Hisar hill raised a fortress that dominated the city and the road. The information about the first centuries of life of our ancestors in this area cannot be found until 12th century. Manuel, a Greek emperor, gave Nemanja the area around the Leskovac of today, named Glubocica (Dubocica), in 12th century. 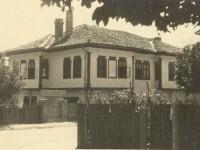 From the time of Emperor Dusan and immediately after that certain villages in Dubocica, as well as Leskovac itself, were donated to monasteries: in 1348 Stefan Dusan donated the village of Leskovac to Hilandar Monastery, in 1395 the nun Euphimia (Princess Milica) with her sons Vuk and Stefan donated a house and two men in Leskovac to monastery Saint Pantaleon on Mount Athos. 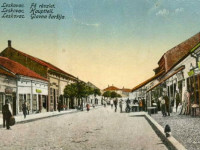 It was then that Leskovac as a city was mentioned for the first time. At the end of 18th century, Leskovac was already the center of big pashaluk of Leskovac which covered the territory of the former Sandzak Aladzi-Hisar (Krusevac) and Paracin. In 1837, according to Ami Boue, a French geologist, there were 3000 houses in Leskovac: 2400 were Christian, 500 Turkish, 30 Roma and 10 Jewish, the total population was 15,000. 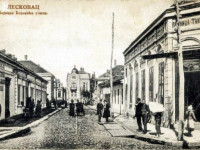 The occupation of Leskovac by Austria-Hungary and Bulgary (from 1915 to 1918), caused severe damage to the residents, economy and disrupted its development. 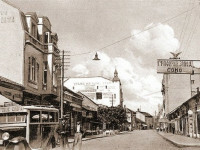 Leskovac reaches its zenith in economic development to the outbreak of World War II. 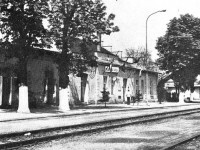 On 6 and 8 April, 1941, first bombs were thrown around the railway station, the main street leading to Hisar, the foundry ‘Sava’ and the transport company ‘Begovic and Djokic’. 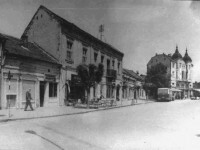 The Germans entered Leskovac on April 12, 1941 and occupied it. 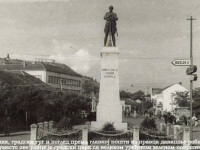 During World War II in Leskovac there was a great number of human and material victims, however, when freedom was within reach, on September 6, 1944 disaster struck Leskovac. The American bombers ‘B29’- about 50 airplanes, without cause and reason (as allies) were destroying entire neighborhoods and killed everybody they found. The exact number of the dead and wounded was never established, estimates range from 2,500 to 4,000 victims. The total number of the buildings and houses that were destroyed and damaged was 1840. 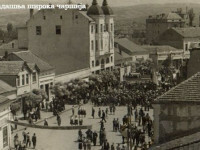 On 11 September, 1944 Leskovac was liberated. In June 1945 the factory ‘Gligorije Petrovic and comp’ was confiscated and started to operate as socially-owned under the name ‘T.I. Kosta Stamenkovic’. In the period from 1945 to 1952 from this factory 176 textile machines were taken away to other cities (Pirot, Titograd, Uzice, Prokuplje, Visegrad, Pozarevac, Beograd, Tetovo, Zemun). How Leskovac got its name? According to the legend it is believed that behind the hill nearby Leskovac there was a lake, however, after it dried up completely the hazelnut started to grow on that place. The settlement Leskovac was named after hazelnut plant, more than 600 years ago; however during the Turkish occupation it was named Hisar, which comes after the Turkish word which means fortress.